Demand for video surveillance technology is growing rapidly. More than just a means to “catch the bad guy,” video is a strategic business tool used to reduce organizational risk and improve financial returns. Modern high definition IP video surveillance systems generate massive amounts of critical, sensitive data. Capturing, protecting and mobilizing this data is paramount, and a very challenging task for traditional IT infrastructure. Pivot3’s hyperconverged infrastructure delivers software-defined SAN storage and server infrastructure in cost-effective, off-the-shelf server hardware. 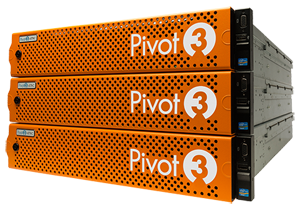 Purpose-built for demanding, data-intensive video surveillance workloads, Pivot3 provides the highest levels of performance, resiliency and availability so critical video surveillance data is stored without loss, protected from any failures and always available when and where it is needed most. vSTAC OS transforms standard servers into powerful purpose-built, fault-tolerant virtual shared storage and compute nodes that can be stitched together into different configurations to support the most demanding video surveillance applications. The Pivot3 Surveillance Series leverages hardware and software features to achieve the highest throughput without any loss of data, preventing video loss and negative impact on image quality. Due to our patented technology, this high performance is sustained during component failures and disk rebuilds – scenarios where traditional infrastructure performance is significantly degraded. Virtual Server and Storage nodes are purpose-built for demanding IP video surveillance workloads. Each node contributes a virtual server environment, compute resources and IP SAN storage capacity that are shared across all nodes in the array. All storage and compute resources are available to all video management applications and all cameras, regardless of server association. Storage and compute capacity scales equally as nodes are added to the array. IP video surveillance workloads pose significant challenges for traditional IT infrastructure. We leveraged deep domain expertise in storage, servers and video surveillance to create solutions that perform flawlessly while eliminating downtime and data loss. Our unique hyper-converged architecture delivers vastly superior resiliency and capability than direct attached storage solutions, and outperforms enterprise server + SAN storage infrastructure at reduced cost and complexity. 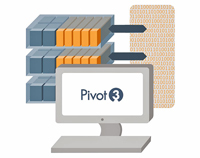 Pivot3 vSTAC Data nodes deliver storage resources that scale linearly as they are stacked together in a Pivot3 hyper-converged storage and compute vSTAC Array. Instantly improve uptime, availability, and reduce upfront configuration time. 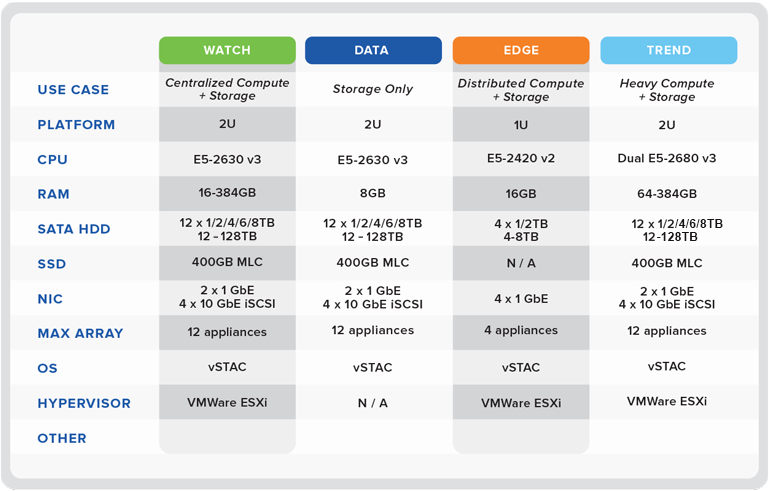 Pivot3’s vSTAC Watch is a purpose-built hyper-converged platform for surveillance and video storage workloads. With Petabyte scalability for capacity and performance, nodes are simple to configure, easy to manage and deploy. Pooled resources across the array and failover-protected hardware, storage and applications meet the needs of the most demanding surveillance environments. vSTAC Trend nodes deliver globally hyper-converged (GHCI) compute and storage resources that scale as nodes are “stacked” in a Pivot3 virtual storage and compute array. Each vSTAC Trend nodes includes a high-performance VMware ESXi virtual server environment which allocates cross-cluster compute resources to surveillance applications. Edge Protect brings enterprise-class IT to physical security with a purpose-built and competitively priced hyperconverged SAN storage solution that is ideal for small, medium and remotely distributed surveillance installation. Video surveillance is a graphics-intensive application that requires substantial client workstation compute resources. Additionally, accessing video and integrated security applications remotely is very challenging. Traditional virtual desktop infrastructure solutions will not work with video surveillance … until now. The Virtual Security Server (VSS) reduces costs by eliminating the need for expensive graphics-enabled workstations and enables mobilization of fully-functional security client workstations.